Happy Turtle: First Day of Work at Sew Sisters! 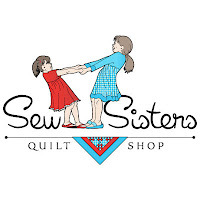 I've been dying to write about this but I held on till I actually started working at Sew Sisters Quilt Shop which was today! Yaay! :) This couldn't have worked out better! I so enjoyed today. So grateful for being able to do this. I looked up quilt stores in Toronto before we moved and signed up for their newsletter and liked their facebook page. I wrote to Judy in the beginning of January and asked if they had any openings and as it so happened... there was! Way to go! I'm so happy for you.. make the most of your experiences there.. :-) Have fun at work! Thank you Josie :) I really am enjoying it!